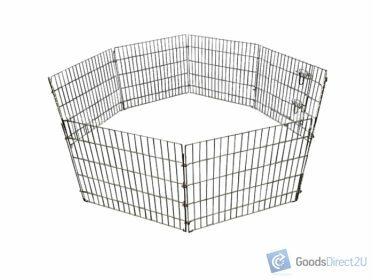 This pet playpen is specifically designed for ultimate versatility in any situation even crate training your puppy. 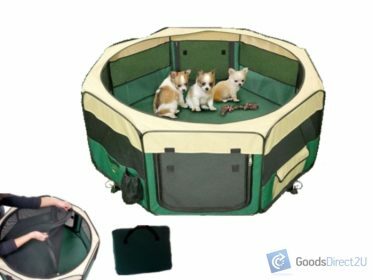 It is also a great playpen for your lovely pets! 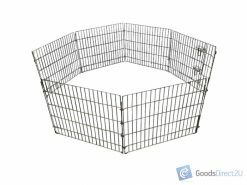 With strong steel it can be set up easily for transport and storage in any pattern you want! A great way to contain your pets for when visitors come around! 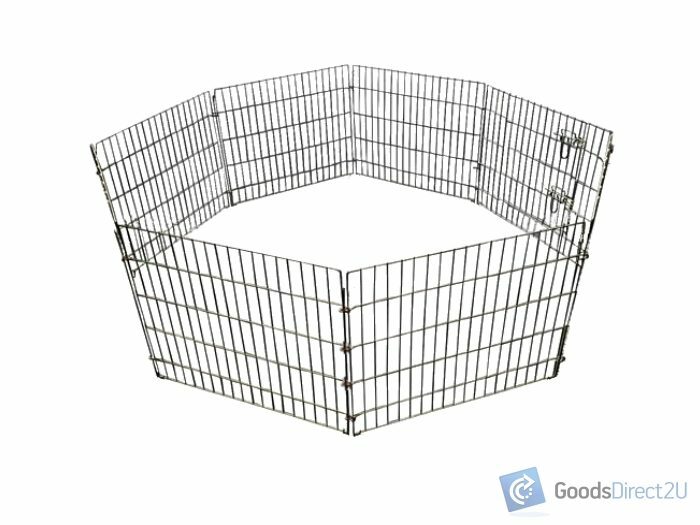 Also suitable for rabbits or other animals!